It’s been a couple of weeks since Square Enix confirmed that a sequel to this year’s Tomb Raider reboot was in the works. Many other bloggers have already put forward their wishlists for the upcoming game but I thought I’d add my two cents. Update: There have been a few announcements about the upcoming sequel, The Rise of the Tomb Raider, since I wrote this article. Click here to read more about this highly-anticipated game! 1) More puzzles – Puzzles are part of what made the Tomb Raider franchise great and there’s nothing less rewarding than finally solving a complex puzzle or figuring out how to reach a hidden relic. While there were some puzzles in Tomb Raider 2013 (hereafter abbreviated as TR 2013), these were relatively simple and overshadowed by the seemingly endless gun battles and irritating QTEs. 2) Fewer gun battles – I know that Lara was stuck behind enemy lines in TR 2013 and survival was the key theme of the game…but did we really need so many gun battles? There were times when it felt like I was playing Gears of War or some other third-person shooter instead of playing a Tomb Raider game. The number of enemies Lara came across on that island verged on ridiculous. Perhaps future games should focus less on gun battles and maybe force Lara to either bypass her enemies by stealth or outsmart them. She could always set a few traps if she just wanted to get people out of her way without killing them. Give players the option to either engage the enemy or avoid confrontation. That would be more satisfying than simply gunning down enemy after enemy. 3) Bring back the globetrotting and exotic locations – Fair enough, Lara was stuck on an island in TR 2013 with little hope of escaping it alive so it made sense to base the entire game in one location. However, for future games, I’d like to see a return to the globe-trotting quests of the older games and explore places that haven’t already been visited in previous games. 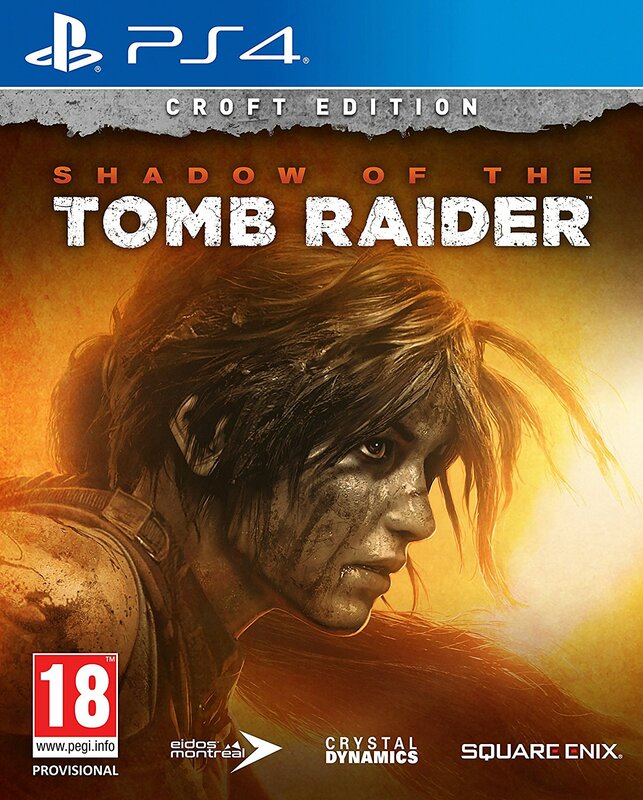 You could have Lara seek out the lost tomb of Genghis Khan in the vast wilderness of Mongolia, seek out clues about the Argonauts’ adventures on the shores of the Black Sea, explore the ruins of forgotten Babylonian settlements, or have her look for the lost Ark of the Covenant in Ethiopia. There’s still so much out there for her to explore. 5) Make the game less linear – One major complaint I had about TR 2013 was the fact that despite its promise of a more “open world” Tomb Raider game, it was actually quite linear. There were times when you weren’t given the option to explore an area because the building were standing in would suddenly start collapsing around you or you inadvertently managed to trigger another QTE. It would be great if they could design a game that would allow players to take on the dual roles of explorers and detectives, scavenging for clues and information that could point them towards a different, less obvious path, lead the way to a hidden tomb, or reveal a valuable plot point. Give us an actual reason to get to those hard-to-reach areas. 6) Greater freedom to save games – I’m perfectly happy if they choose to keep the base camp system for future games but I’d also love the option to save my game whenever I want rather than rely on checkpoints. I’m quite a lousy gamer so I prefer to save my game whenever and whereever I can. 7) Bring back the vehicles – What’s a Tomb Raider game without at least one vehicle to drive and/or destroy? Just for the fun of it, why not have Lara pilot a small seaplane or helicopter? We’ve only ever seen her do this in cutscenes and FMVs but never in-game. 8) Get rid of the multi-player mode – Tomb Raider doesn’t need a multi-player mode. 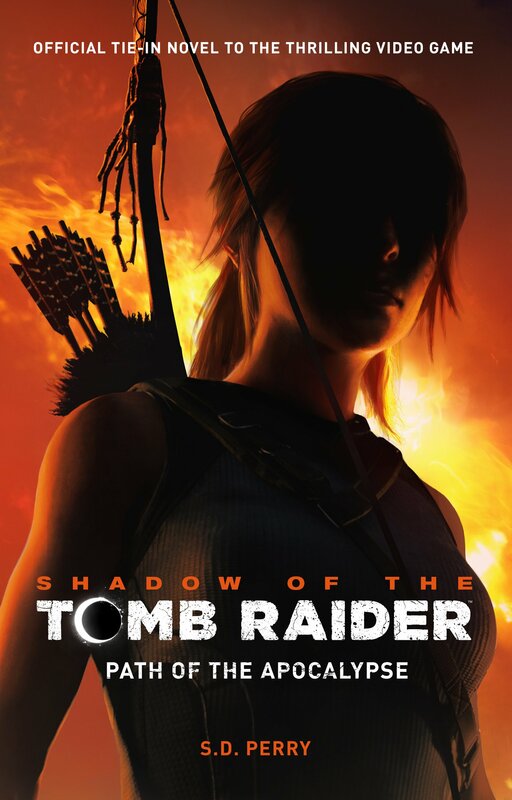 Its presence in TR 2013 added nothing to the game and I feel that they should have invested this time and effort in creating more tombs for us to explore. There are plenty of multi-player shooters out there already so just focus on keeping the tombs in Tomb Raider. 9) Less focus on secondary characters – We can argue that secondary characters were a necessary evil in TR 2013 as they helped to flesh out Lara’s character and gave her a sense of purpose. 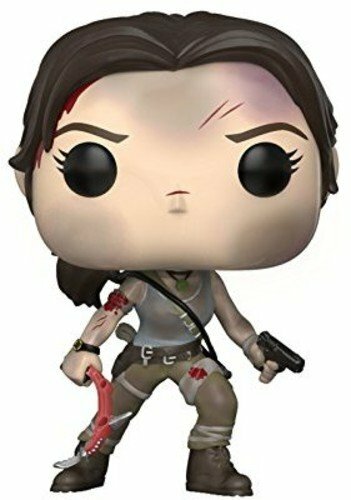 But now that Lara’s new origin story has been established, let’s keep Sam and the others out of the new game and bring back our “lone wolf” Lara, the one who didn’t need anyone to tell her what to do or how to get things done. Lara’s relationship with Sam was certainly a hot topic within the Tomb Raider community and while I think that having a gay protagonist would be a positive move for the gaming world, romantic relationships are an unnecessary distraction in a Tomb Raider game. Leave these for the comics. I just want to raid some tombs and steal ancient artefacts, not deal with group politics and drama. 10) Bring back the bow! – It would be hard to envision a reason to bring it back but I’d really, really love it if they could add the bow to Lara’s regular arsenal of weapons. It was by far my favourite weapon in TR 2013 and I’d be sad to see it go. What would you like to see in the new game? Feel free to share your thoughts below! The Rise of the Console Exclusive Raider? Completely agree on every single point you mentioned. Secondary characters aren’t interesting that much – it’s Lara Croft we’re talking about. Devs need to get it together and bring back her wits and DOUBLE GUNS!!! Where were these?!?! Bow ?? What’s next a shield and a sword maybe?! I also agree that QTEs should be banned. And I want gigantic puzzles that will have to make me dig up in encyclopedia and google in order to solve them… That’s what I loved about TR when I was a kid and really changed my way of finding information. I’m just afraid that the corporate world we live in will not ‘please’ the fan base, because of money. Still I have hope and that’s something.. And I do hope that this blog post will get to the ‘masterminds’ at Crystal (or however is developing the game – I lost track). I loved the article and agree with most of these points. I want vehicles too but I also dread having to play them. I still remember the Jeep in Last Revelation and how I wanted to place a curse on the developers for the wonky controls. 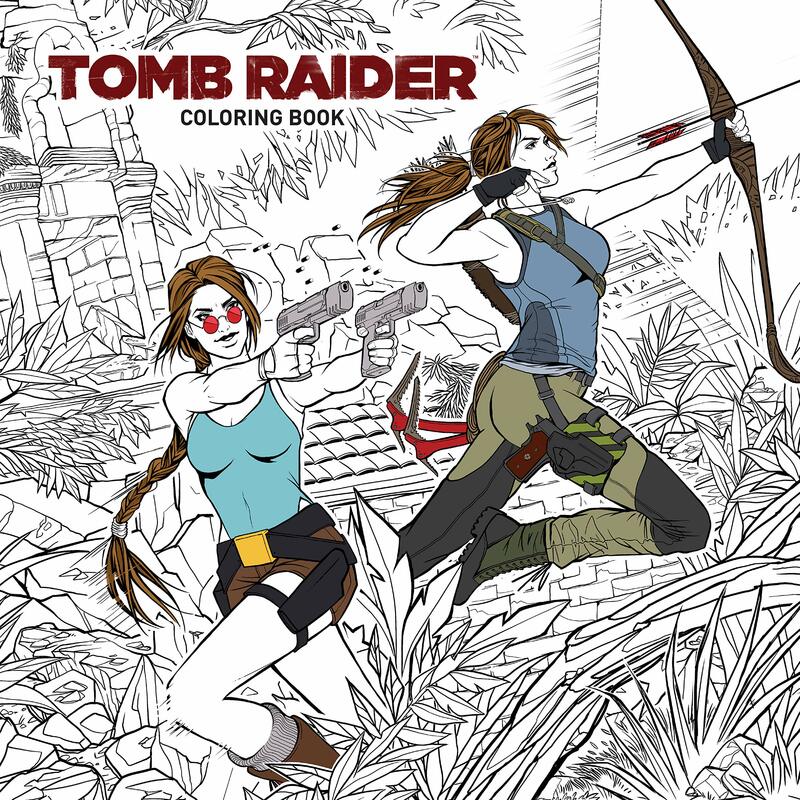 Personally don’t mind the secondary characters as they added a bit of colour to Lara’s world. In previous games you mostly dealt with the lone wolf and her antagonists. By knowing the people close to Lara, you also get to know her as her actions and decisions reflect on them. Though I do agree that having them just to tell Lara where to go or for drama’s sake would take away from the experience. If instead they became active participants and not just voices in Lara’s ear (which was the main problem with the Legend, Anniversary and Underworld sidekicks), they would complement the storytelling rather well. And god yes more puzzles!!! Totally agree point by point. I haven’t finished the game yet–the most recent thing I’ve done plot-wise is the first main errand on Shipwreck Island. And I’ve only played about an hour of one of the original games, when I was ten, so I can’t really make a comparison. But I agree, it could definitely be more about puzzles and archaeology. Though shooting can be fun (and often it is in TR 2013), compelling non-shooting puzzle-based games do exist (I’m mainly thinking about Portal). Combine puzzle-heavy gameplay in ruin settings with something like Gone Home–in which you piece together stories based entirely on the objects and papers people have left behind–and I think something very, very awesome would come out. Something very awesome in which special artefacts are NOT conveniently stored in identical small metal boxes, of course. I’m a huge Tomb Raider fan and I know the last game was supposed to be very different, but I didn’t gel with it. Instead I went back and played Tomb Raider 2 from the MAC store which thrilled me all over again. I feel Tomb Raider 13 took away from what made Tomb Raider, Tomb Raider. I would have much preferred them to still have done the whole (young, vulnerable) thing and had the previous sort of format as the rest of the playstation games. It kind of felt like a whole new game and possible trying to be a bit too violent, gory and call of duty. Like said, just incorporate some new locations, new weaponry and shake things up a bit. It all starts to go wrong when you change what people love because you’re “trying to keep up”. While I absolutely loved the new Tomb raider game, there were a lot of things that I wished were included in it. And while Lara’s latest adventure ended just after leaving the remote Japanese island, I did wish that we’d get to take her home at the end and get to explore her estate. Ok, that may have been a push seeing as Lara is still young and hadn’t made her mark yet (or her fortune). Well that’s one thing i’d love to be included in the sequel. Keeping the Croft estate in mind, I’d love to have total access to her home, both inside & out. (Hated that some areas were closed off in the previous games). Also more interactivity with items in her home! I wasn’t very impressed with the music room reward for completing the mansion puzzle in TR: Anniversary (Though still thankful that the mansion was included in that game as it wasn’t in the original). What else? LOTS & LOTS of LARGE labryinthian like hidden areas, along with a purpose or reason for them being hidden. Reasons such as dangerous artifacts from her past/latest or even current adventure(s) or precious memorabelia from her family or her past. (And be able to “play around” with them rather than just look at them in a display case). Some puzzle elements to gain access & more to progress farther through those hidden areas (possibly replicated puzzles from her previous adventure could be included albeit with different solutions & maybe even flashback scenes placed in at key points). One of my favourite secret areas from TR3 was the underground swimming pool/fish tank, so i’d really love to see something similar yet more expansive in the next game. I hope so! It’s so nice to go to Lara’s mansion, hang up ya boots and take a break from a level that you’re stuck on. OMG. I agree with every single point, Kelly. Literally everything. Just wanna add that I think the game could’ve gone on longer than 10 hours. I’d love a game with the MAIN story being at least 20 hours. Plus, if they were to have secondary characters, they would need a storyline or backstory also. But I just don’t see that working out in the games when Lara is always out on her own. It’s why they have the Beginning comic. I actually love the characters but they didn’t have enough exposure so we don’t care “enough”. I was upset when Roth died though. That really made me feel bad for Lara. And the characters need,, I dunno.. a different reason to exist somehow. Other than being the crew who survived. They were all so typical; a geek, the b@#$h, the best friend, the media mogul etc. Sam only exists to get kidnapped all the time, Jonah is there only for encouragement (but gotta love him, he’s the glue who sticks everyone together), Alex’s death didn’t impact us much and Grim was forgettable (oh, THAT guy, yeah I only now remembered about him just before typing this). These characters need to be important in developing Lara’s character arc if they’re going to be in the game. Oh, and more secrets / hidden tombs. BIGGER tombs. And quit telling us when there’s a secret tomb nearby because it defeats the purpose of it being secret. I prefer to find it on my own. CD could take some pointers from AC4: Black Flag with the underwater caverns. They’re freaking brilliant! Underwater tombs and marine archaeology would be perfect too. It’s like following Roth’s footsteps. He was a diver who looked for treasured underwater. I’d agree with almost everything in that list, I think even Crystal Dynamics want to bring all those things back but they couldn’t do it all at once as right now they’re rebuilding the formula from the ground up y’no? Anyway, the vehicles I’m not so sure of honestly, they were hell in the classics in my opinion, I hated how they were shoved down our throats in 2 and 3, and I just don’t think they work in the Tomb Raider platforming formula, they feel like a strange block crammed into a circle hole. I wouldn’t mind vehicle sequences actually, shooting out of helicopters is always fun… other than that I can’t be too kind about the idea. And actually, as I’m playing the classics right now, I realize I’d like more action in the new TR! I miss the large selection of weapons, combat has never really been a strong point in the series until the new reboot, it would be great to incorporate the new fun action system with the classic weapons. This might seem a bit silly but I’m desperate for the twin pistols to return… they’re just so iconic! I loved the quad bike and snowmobile but I’ll give you that. The controls weren’t always that great. And don’t get me started on that kayak from TR 3. I don’t know how many times I had to replay those parts of the game. And I agree. I’d like to the dual pistols back in the sequel. It’s a shame we only got to use them at the very end of the game (and in a fairly lame QTE at that). I tried to avoid the executing moves. I know you get extra XP or achievements by performing them but they just seemed…wrong. 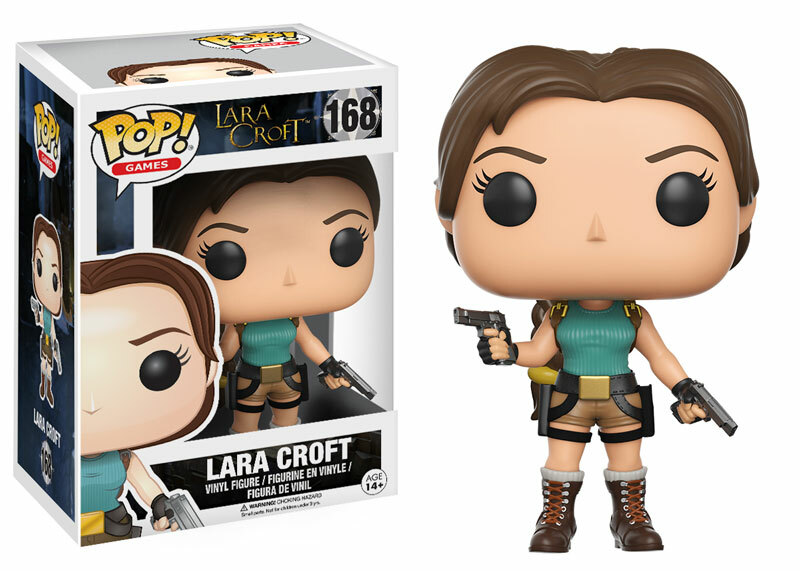 A 100% British Lara Croft who is a sociopath but not a psychopath. More brains and wit, less shooting and emo-ing. Some excellent points made, and I struggle to disagree with any of them! The gun battles were far too over the top and at times I thought I was playing a war game and not an adventure one! As for the QTE death scenes, they were too graphic and repetitive and seeing poor Lara impaled on a tree/pole was a little too much! The main thing that I missed in the latest game is that there was so much less climbing and using ledges to move forward. I think that was one of the me things in ever TR game and I felt like they cut it down to the minimum. I thought there was enough climbing but I didn’t like how every ledge was pointed out to you. Did they really need to paint them all white? See I quite like the linear aspect and the focus on sub characters. In fact, I think it should get rid of the few open world elements. I felt they seemed forced in and to meet the open world trend rather than really needing to be there. A few relics, sure, but those little challenges??? And the banter between characters was so good, I would quite like to see more sub characters. They were well thought out and added drama to the story. Sure, they were a little predictable (bad guy, joker guy, Sam), but this is why we need to work on them more. What do you think about the death sequences in the latest game? Should they return and possibly become even more violent or get cut? Good point. I didn’t even think of that. Personally, I found the game a little too gory and violent but I suppose the death sequences were more realistic than the ragdoll death animation of the older games. Some of them were downright creepy (e.g. being impaled on a tree branch, being shot in the head if you failed one of the QTEs).